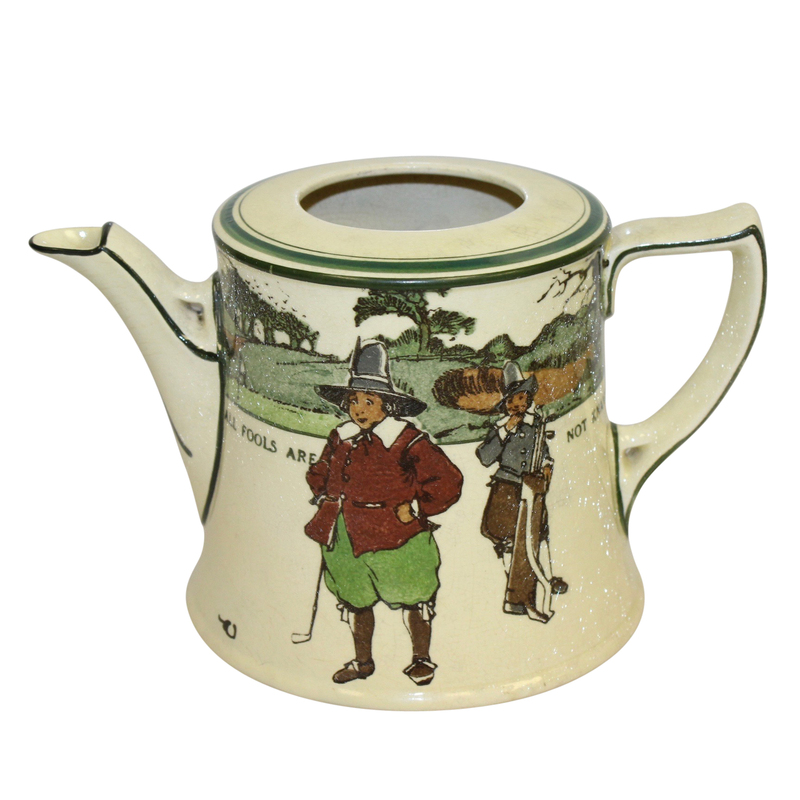 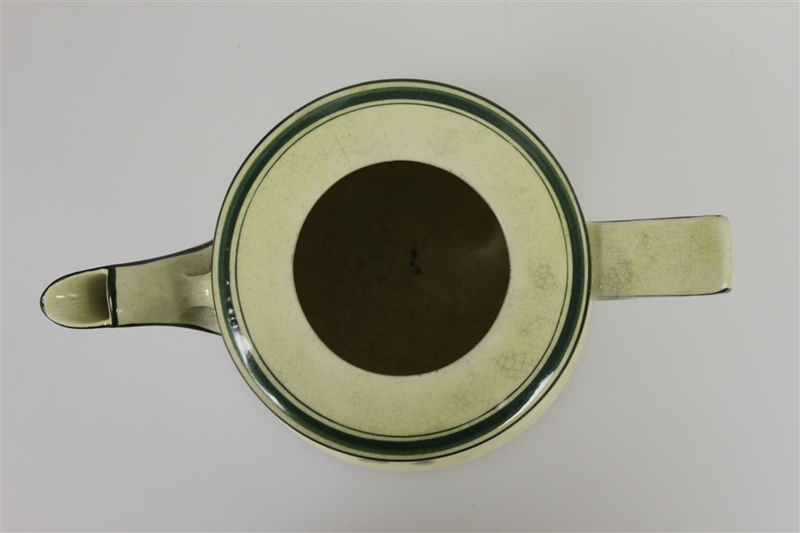 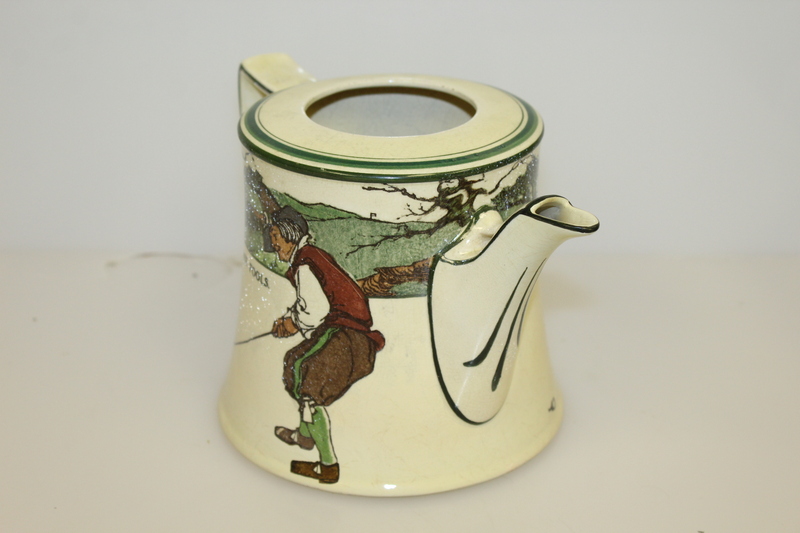 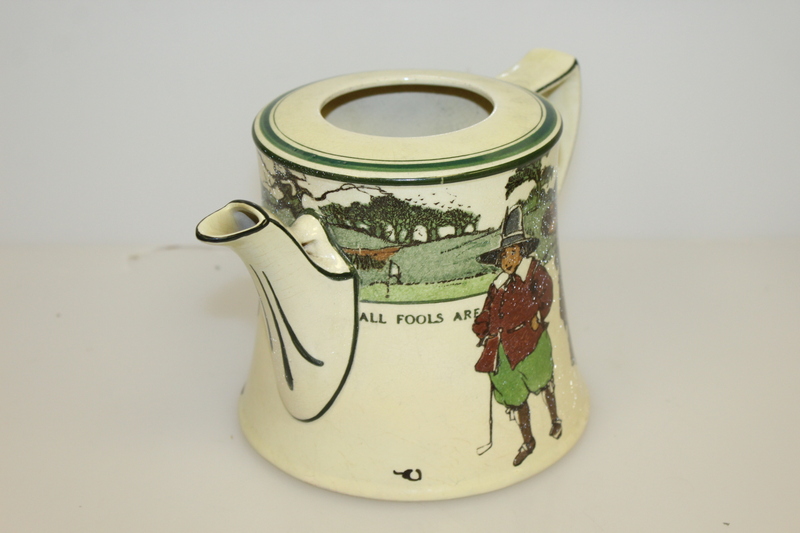 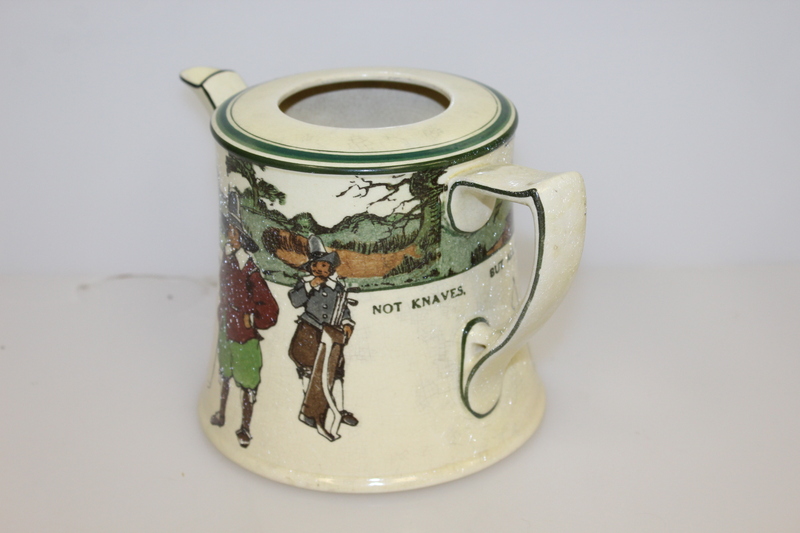 Offered here for bidders is a golf themed Royal Doulton tea pot. 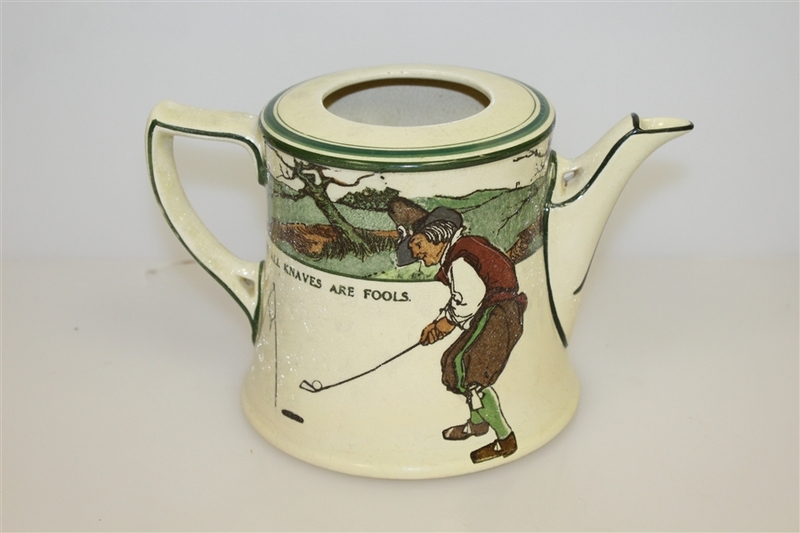 Golfers and a caddie are shown on a course along with the saying "He that always complains is never pitied." 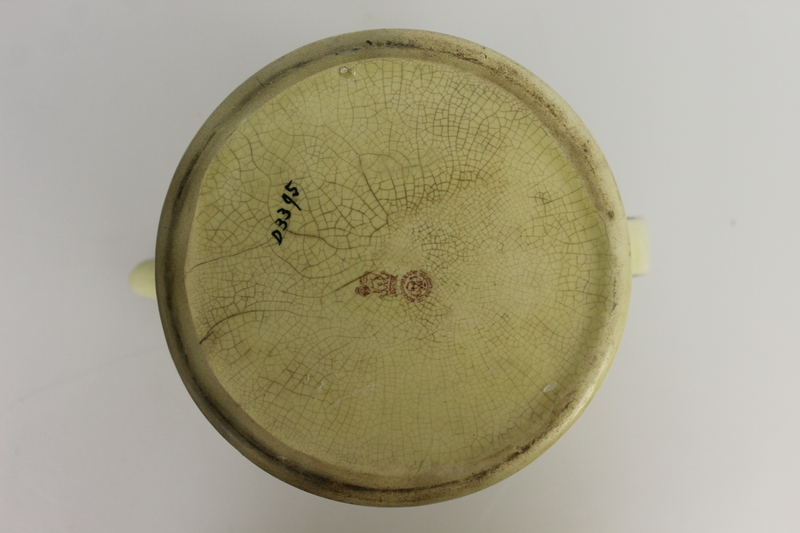 This piece is in great condition with the original lid present. It measures 4 1/8" tall with a 4 1/2" base diameter. 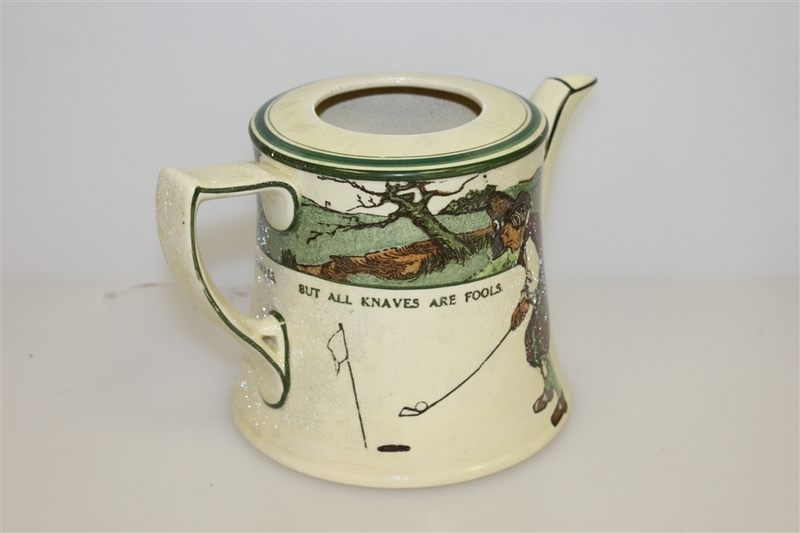 The Doulton family started making stoneware goods (tableware, pipes, and sanitary fittings) in 1815, later enlisting local artists and art students to design the incredibly popular pieces. 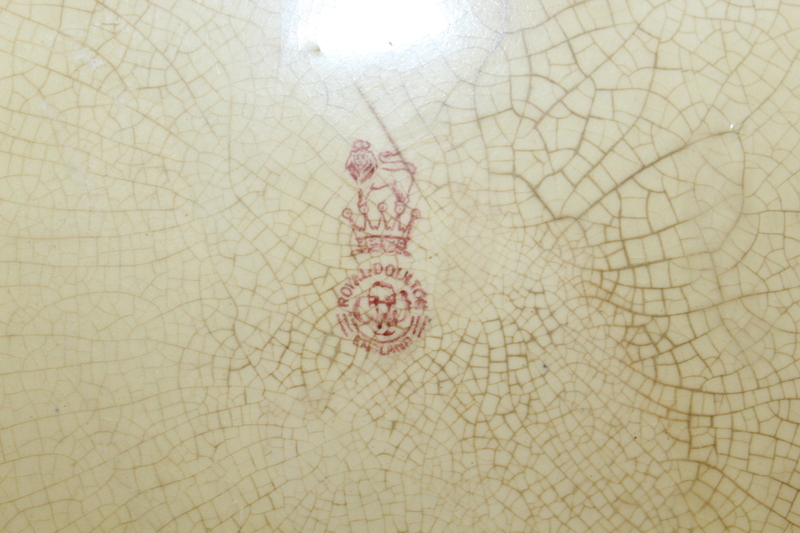 Doulton was granted the Royal Warrant in 1901 by King Edward VII, and continues to make fine glassware to this day, now a part of the Waterford Wedgwood family.